If your drum is banging the inside of your washing machine's cabinet, then some part of the suspension system has most likely failed, changing all these components will strengthen and align up the tub once again, making it much quieter. 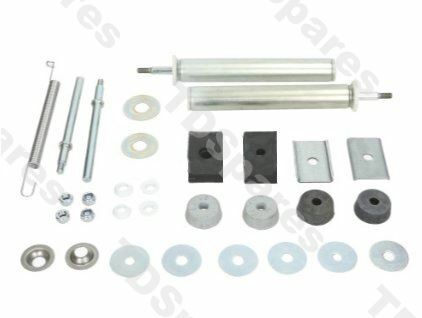 Kit Includes all the components necessary to solve this problem, including both dampers & legs, a top spring, all rubber bushes, washers & locking nuts. Good idea to grease the two stainless steel cup washers before fitting. *Please note - not suitable for washer dryer models.